Long before any mission to another planet is undertaken, NASA and other space agencies commission reports on why and how we might want to go about it. The latest such report was issued this week regarding Jupiter’s moon Europa, one of the most interesting and mysterious bodies in the solar system — and among the most likely to show traces of life. 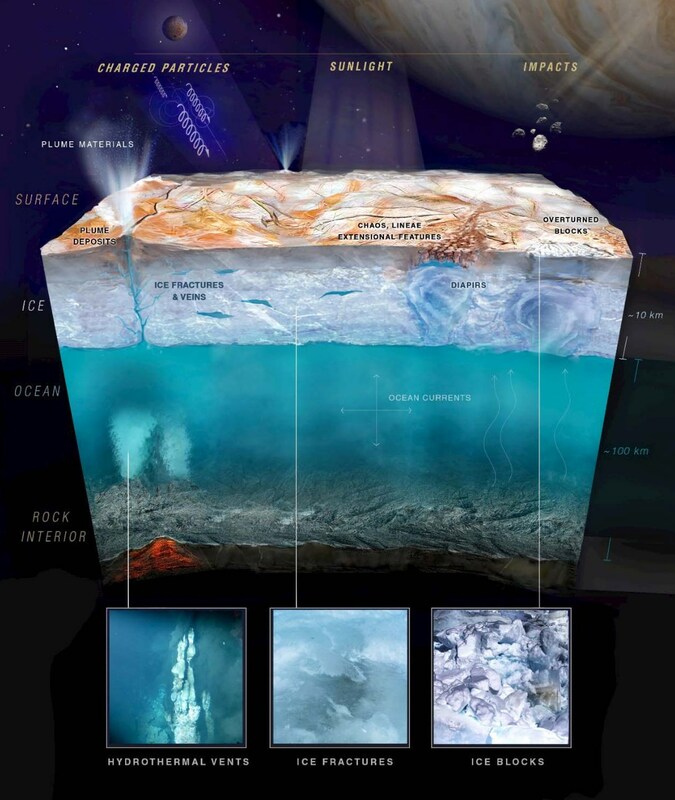 The mineral-infused liquid water we believe is under the icy crust of Europa is perhaps the best bet so far for finding extraterrestrial life. The report itself is quite long and technical; you can download the whole thing and see other documents related to the study here. But for now you should just take a second to appreciate the awesome artist’s impression of how the Europa lander might look. Bigger versions (with more space) are available here. It’s just begging for a title at the top, right? The report suggests three goals for an initial mission to Europa: search for evidence of life, assess the moon’s habitability (it won’t be warm, but liquid water is a plus) and characterize the surface and subsurface for future reference. It also lists the instruments that would likely be necessary to accomplish those goals — some of which don’t technically exist, but have analogues in systems already or about to be deployed. The lander shown above is just an example of how the pieces might come together. If it doesn’t look particularly robust, that’s a deliberate choice: unlike Curiosity and other long-term surface explorers, this lander probably would only last a few weeks before getting fried by the immense amount of radiation coming off Jupiter. The report itself (from a cursory scan) looks quite interesting if you’re looking for some piping hot science. But I mainly just wanted to show you that great cover art. Bravo, Michael Carroll.